The MultiCam has been idle for a few days as we did all the other work required to catch up to what has been routed. 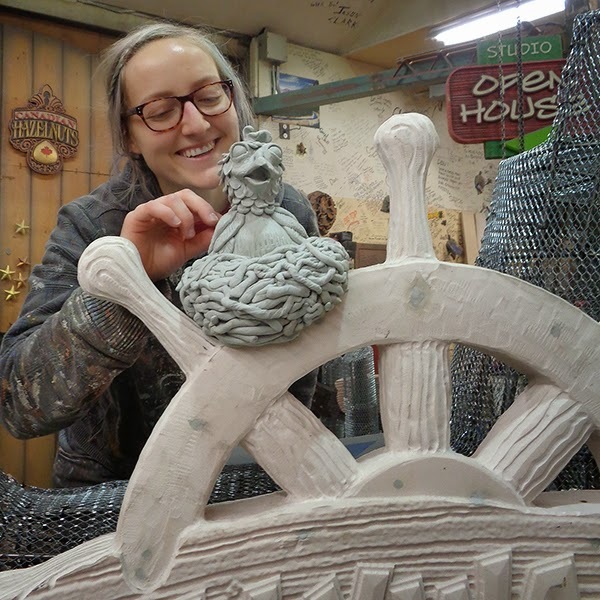 The golf sign (with the ship’s wheel got it’s hand sculpted wheel. Angie got the nod for that task and did a great job! We also started applying the sculpted concrete to the tree and will finish that tomorrow. I’ll post pictures later of that. It too is looking fabulous! 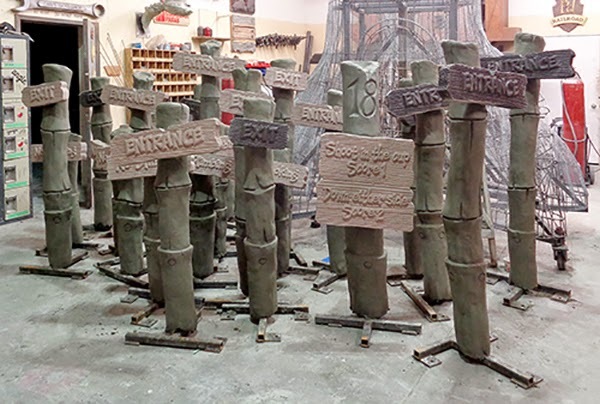 Today we bit off a big bite and did the sculpted concrete ‘bamboo’ posts on all of the signs – twenty nine in all! 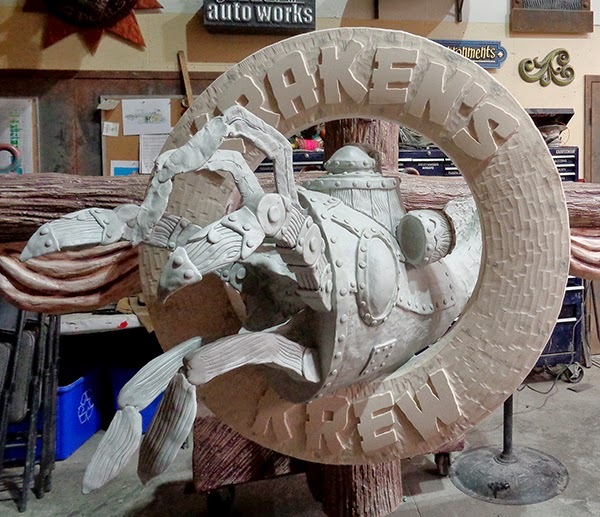 The whole crew had to jump in and help with the sculpting as concrete waits for no one. We also got some epoxy sculpting done in the last couple of days and the KRAKEN is coming along nicely! 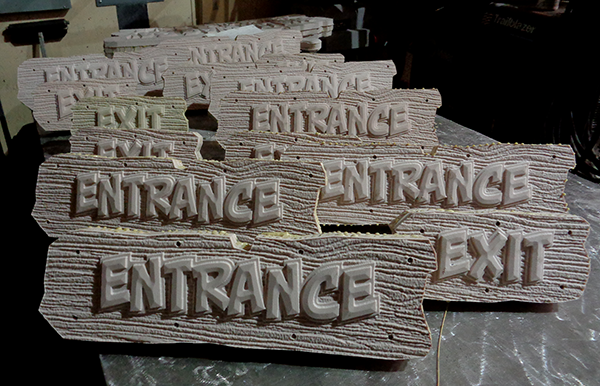 The sculpting on this sign should be wrapped up tomorrow as well.